Acupuncture uses thin, flexible, single use sterile needles, inserted into specific points on the body to activate the body's own healing response. Acupuncture is one of the oldest, most commonly used forms of medicine in the world. Originating in China more than 2,500 years ago, acupuncture is currently one of the most thoroughly researched, practiced and respected forms of complimentary medicine available. Auricular acupuncture is the stimulation of acupuncture points in the external ear used for the diagnosis and treatment of heath conditions throughout the body. The ear holds a microsystem which reflects the entire body. Auricular acupuncture can be used by itself or as part of a standard acupuncture treatment and is commonly used to treat addictions. Chinese medicine is very successful at addressing children's health issues. Children's young, rapidly growing bodies often respond quickly to minimal interventions. We use kid friendly techniques including Chinese pediatric massage, non invasive magnetic therapy, non-needle Japanese style acupuncture (Shonishin), plum blossom tapping and very fine acupuncture needles if necessary. Cupping is an ancient technique, used in many cultures, in which a special cup is applied to the skin and held in place by suction. The suction draws superficial tissue into the cup, which may either be left in place or moved along the body. Cupping brings fresh blood to the area and helps improve circulation, therefore relieving aches, pains and tight restricted tissues. Cupping is also beneficial for respiratory and digestive issues. Traditional cupping, sometimes referred to as “fire cupping," uses heat to create a vacuum-like suction inside of glass cups. In modern times, cups that use a small pump to create suction, may also be used. Moxibustion involves the heating of acupuncture points with smoldering mugwort herb (known as moxa). Moxibustion reduces inflammation, stimulates circulation, counteracts cold and dampness in the body and promotes the smooth flow of blood and qi. This safe, non-invasive technique may be used alone, but it is generally used in conjunction with acupuncture treatment. In our office we use smokeless moxa as an alternative, in an effort to maintain healthy air quality. Qigong means "life energy cultivation" and is traditionally seen as a method to cultivate and balance qi. The practice involves slow, rhythmic movement, focused breathing, and concentrated awareness. Qigong is a safe and gentle meditative exercise that promotes healing of the mind and body. Gua Sha is a traditional Chinese medical treatment in which a smooth round-edged object is used to apply short, brisk strokes to the skin. This creates red patches of skin called "Sha", detoxifying the blood and restoring the healthy flow of qi to the tissue. This is recognized throughout Asia to be a highly effective treatment for chronic pain, stress, fatigue and many other conditions. 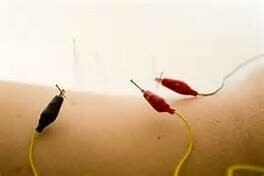 The application of a gentle pulsating electrical current to acupuncture needles in an effort to stimulate acupuncture points or surrounding tissues, for a desired effect. Can be used for acute and chronic conditions. Nutritional therapy which focuses on what one eats according to their individual constitution, the season and specific health concerns. Eastern dietary therapy promotes the intake of whole foods and the balance of the five flavors (sweet, salty, bitter, sour, pungent). We accept cash, checks, all major credit cards, FSA's and HSA's. Many insurance companies now provide acupuncture as a benefit. We are a participating provider for Excellus (Blue Choice and Blue Cross/Blue Shield), Univera, MVP and Cigna. Prior to your initial appointment, please find out if your plan covers acupuncture as a benefit. We are happy to check on your behalf as well.